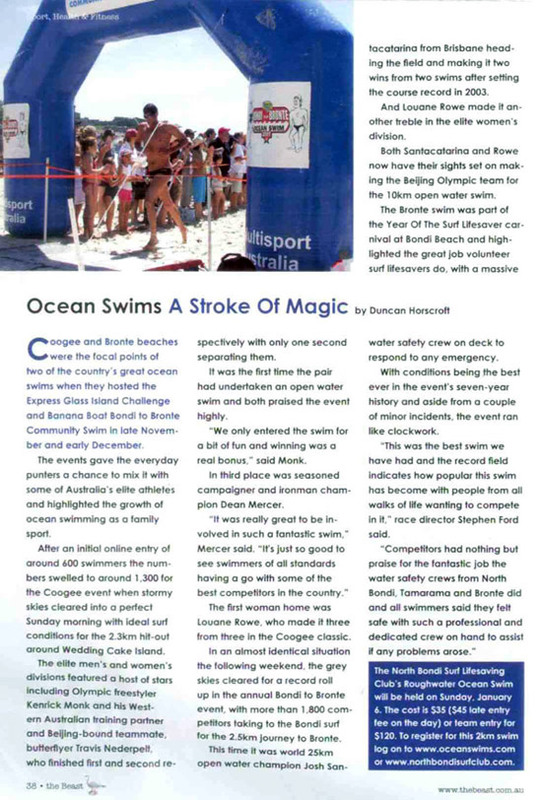 The Macquarie Bondi to Bronte Ocean Swim is a feature on Australia’s ocean swimming calendar and this summer will continue to support the fight against kids’ cancer. The 16th annual event will be held on Sunday December 4th and hopes to surpass the 2015 fundraising total of over $40,000 for The Kids’ Cancer Project. The Kids’ Cancer Project is a national charity dedicated to supporting childhood cancer research. Kids’ get different types of cancer to adults and research is discovering more targeted and effective ways to help kids while minimising the long- term side effects treatment can bring. 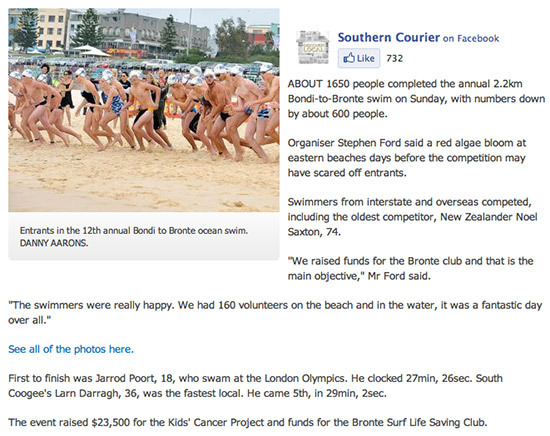 Bronte Surf Club President, Basil Scaffidi is proud of the association. 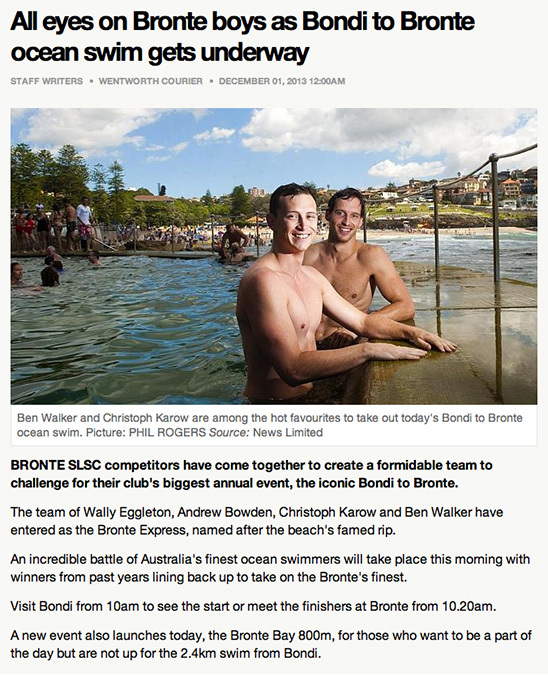 “The Macquarie Bondi to Bronte Ocean Swim is an iconic swimming event and integral to its success is our association with The Kids Cancer Project.I know that not only the swimmers but the many volunteers that help out on the day value our association”. The Kids’ Cancer Project CEO and former Wallabies player Owen Finegan believes partnering with the Bronte Surf Club is vital to their cause. “The Kids’ Cancer Project was founded by Col Reynolds in 1993 who decided to step up and do something to help children with cancer and their families. Twenty years later we’ve supported over $30 million in research projects. This has only been possible thanks to community support and like-minded people stepping up to make a difference,” said Owen. Major sponsors, Macquarie Group are also generously contributing to the charity by donating prizes to The Kids Cancer Project to help raise funds. This summer will also see Australia’s premier ocean swimming series, World Series Swims, lend its support through all events nationwide. World Series Swims Director, John Guise, this week announced the new national partnership that will see thousands of swimmers get behind The Kids Cancer Project through six events across Queensland, NSW and Victoria. World Series Swims event locations include Bondi/Bronte in NSW, Noosa Heads, Mooloolaba Beach and Gold Coast in Queensland and St Kilda Beach in Victoria. 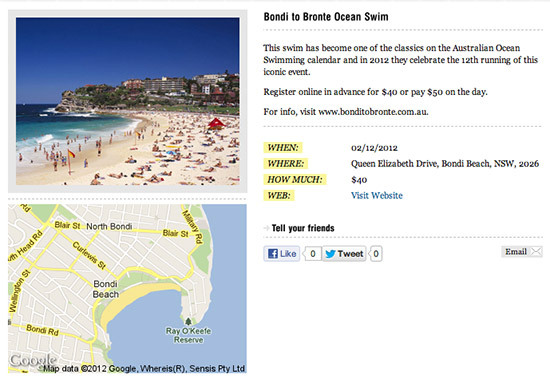 Online entries for the Bondi to Bronte Ocean Swim open on September 30. 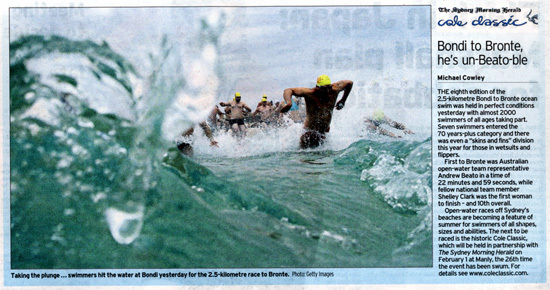 Articles written pre and post event for the 2013 swim. 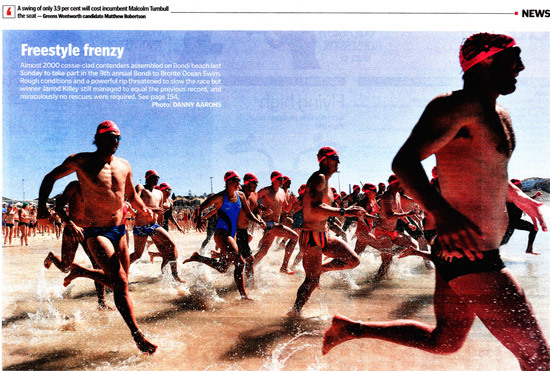 Advertising in the Sports section of the Sunday Telegraph and Daily Telegraph in the lead up to the 2012 event. Advertising in the Sports section of the Sunday Telegraph and Daily Telegraph in the lead up to the 2011 event. 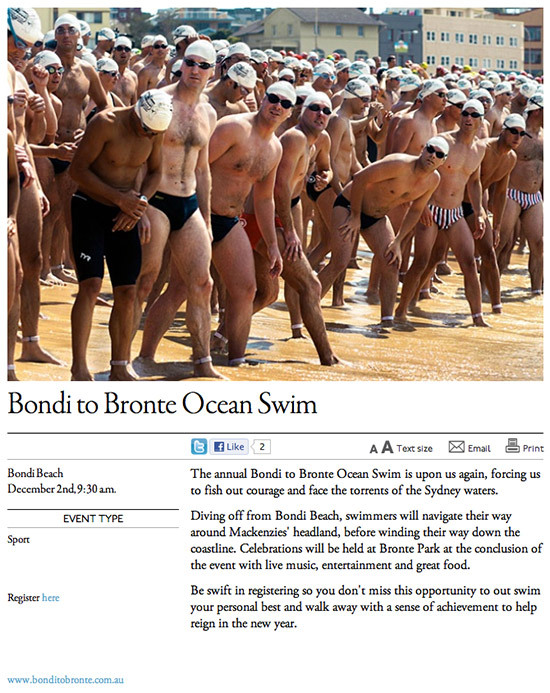 Advertising in the Sports section of the Sydney Morning Herald in the lead up to the 2010 event. 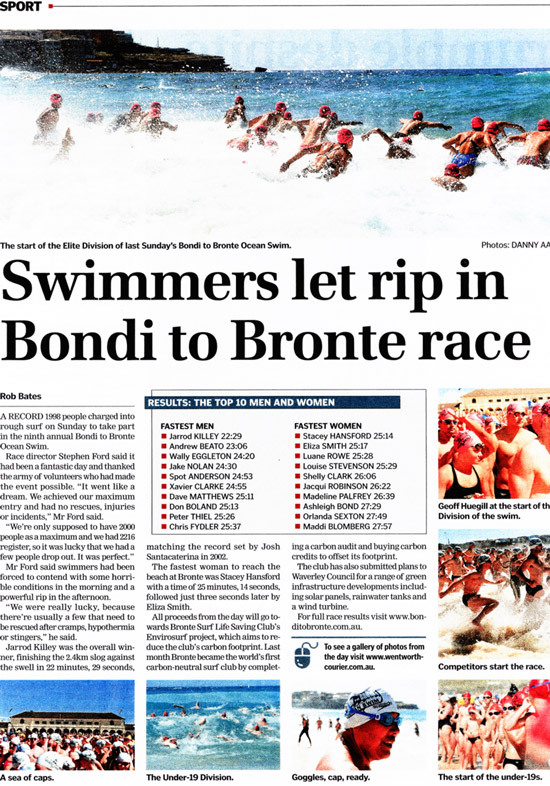 Advertising in the Sports section of the Sydney Morning Herald in the lead up to the 2009 event. Advertising in the Sports section of the SMH after the 2009 event. Advertising in the Sports section of the Sydney Morning Herald in the lead up to the 2008 event. Advertising in the Sports section of the SMH after the 2008 event. Advertising in the Sports section of the Daily Telegraph after the 2009 event. 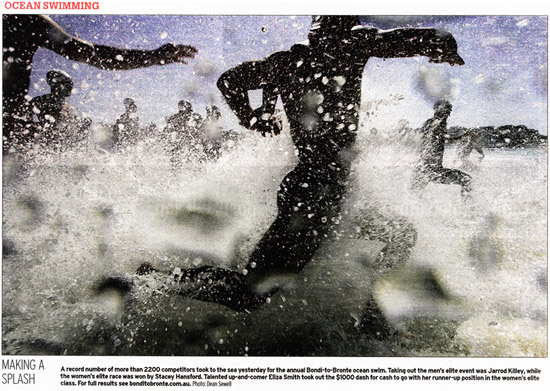 Advertising in the Sports section of the Daily Telegraph in the lead up to the 2008 event. Wentworth Courier in the lead up to the 2012 event. Advertising in the Sports section of the Wentworth Courier in the lead up to the 2011 event. Advertising in the Sports section of the Wentworth Courier in the lead up to the 2010 event. 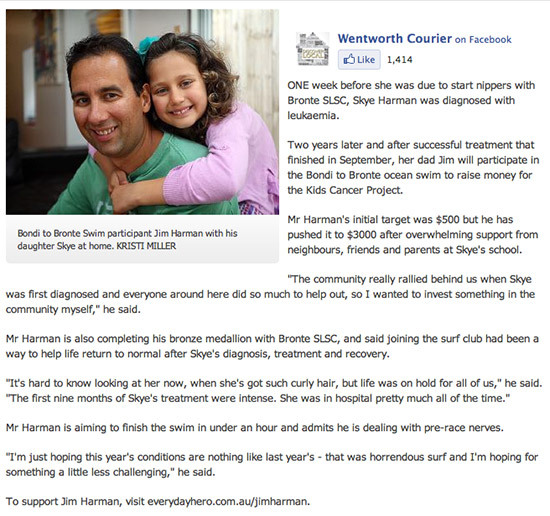 Advertising in the Sports section of the Wentworth Courier after the 2009 event. 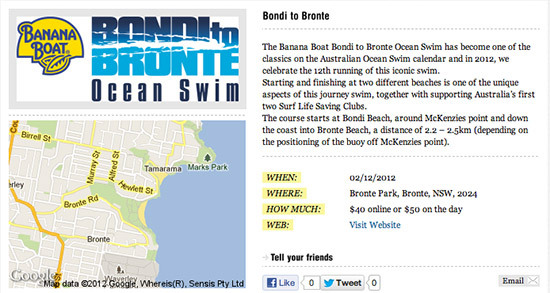 Bondi to Bronte Ocean Swim 2012 Articles. 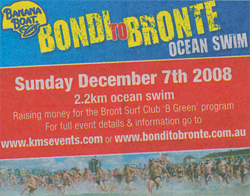 Bondi to Bronte Ocean Swim 2007 Article. 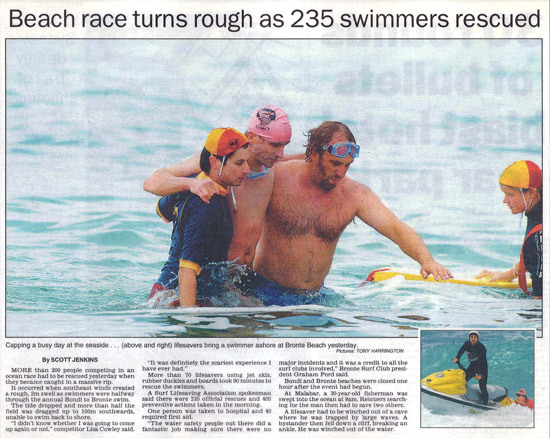 Bondi to Bronte Ocean Swim 2003 Articles. 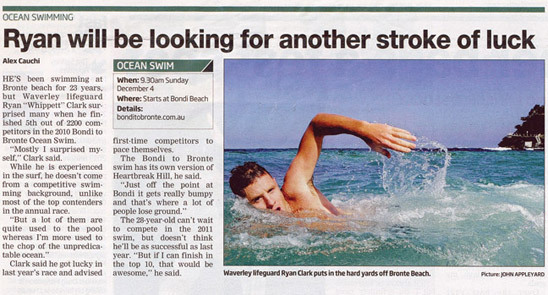 Bondi to Bronte Ocean Swim ranked 34 out of top 100 worldwide experiences.